Following persistent sell pressure on the Nigerian Stock Exchange (NSE), equity transactions continued on a downward note yesterday, as investors wealth depreciated by N105 billion in three trading days. 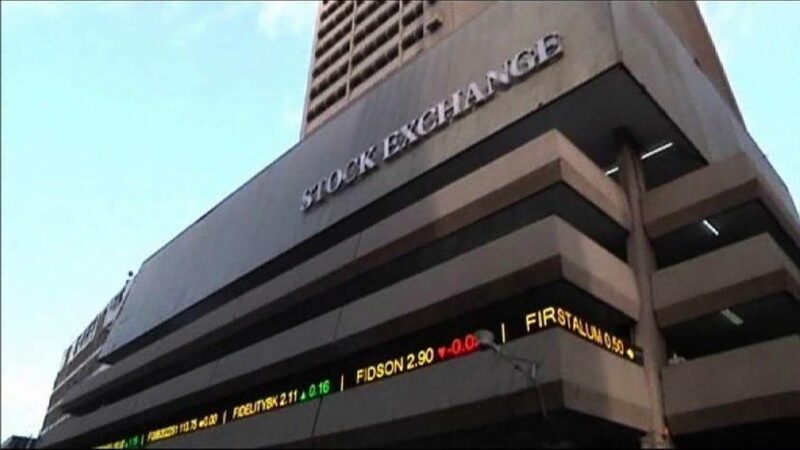 Specifically, the market capitalisation of listed equity dropped by N105 billion or 0.9 per cent to N11.837 trillion from N11.942 trillion at which it opened for transactions on Tuesday, while the All-share index plunged by 288.08 points from 32,711.65 to 32, 423.57. Yesterday’s fall was impacted by losses recorded in medium and large capitalised stocks, amongst which are; Okomu Oil, Nigerian Breweries, GlaxoSmithKline Consumer Nigeria, Ecobank Transnational Incorporated (ETI), and Dangote Sugar. Analysts at Afrinvest Limited, said: “Although performance was negative, we expect a rebound in today’s trading as sentiment remains positive. Market breadth closed positive, with 19 gainers versus 18 losers. Cutix recorded the highest price gain of 10 per cent, to close at N4.73 per share. Sovereign Trust Insurance followed with a gain of 9.09 per cent to close at 24 kobo, while AG Leventis Nigeria rose by 8.11 per cent to close at 40 kobo per share. Cement Company of Northern Nigeria (CCNN) gained 7.76 per cent to close at N25, while First Alumium appreciated by 5.41 per cent to close at 39 kobo per share. On the other hand, Niger Insurance led the losers’ chart by 9.68 per cent, to close at 28 kobo, per share. Neimeth International Pharmaceuticals trailed with a loss of 9.23 per cent to close at 59 kobo, while Royal Exchange dropped by 9.09 per cent to close at 20 kobo, per share. R T Briscoe Nigeria depreciated by 8.70 per cent to close at 42 kobo, while Union Diagnostic & Clinical Services shed 6.45 per cent to close at 29 kobo, per share. The total volume traded appreciated by 10.61 per cent to 151.35 million shares worth N1.51 billion, traded in 2,356 deals. Transactions in the shares of FCMB Groups topped the activity chart with 28.92 million shares valued at N49.89 million. Fidelity Bank followed with 19.1 million shares worth N35.54 million, while Guaranty Trust Bank traded 18.16 million shares valued at N671.84 million. Nascon Allied Industries traded 17.14 million shares valued at N316.33 million, while RT Briscoe transacted 6.55 million shares worth N2.75 million.